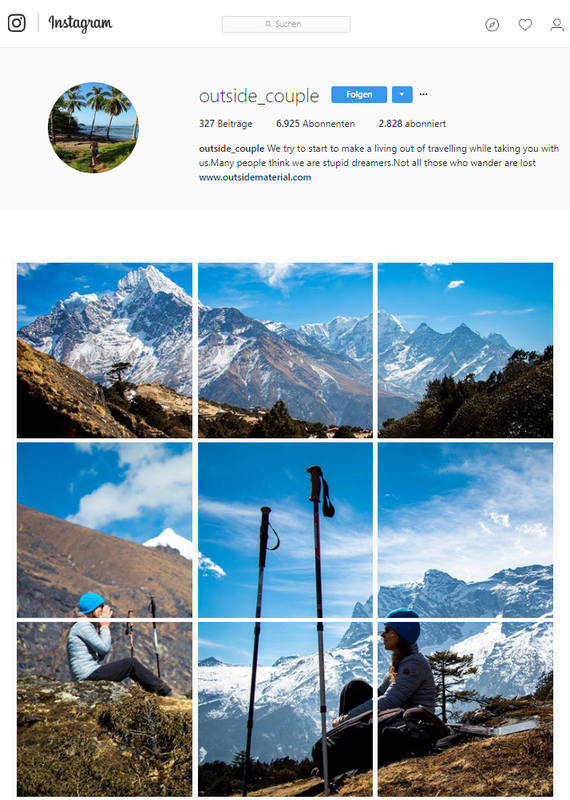 How to make an Instagram Panorama Layout. 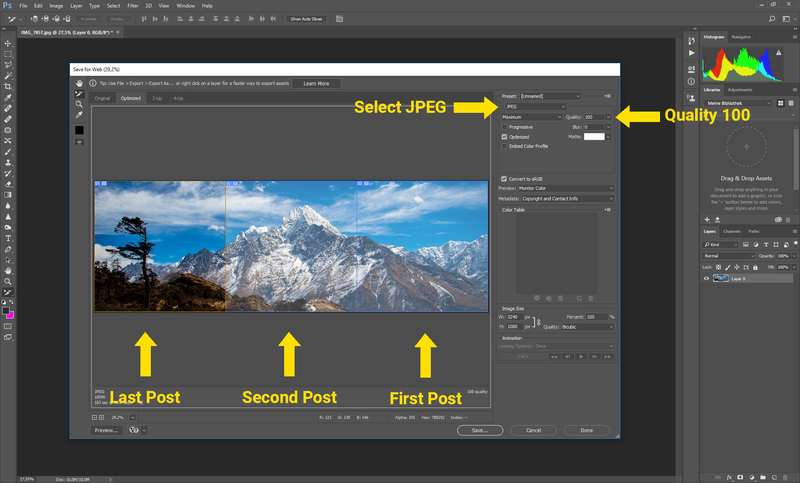 First, you need an image editing software. 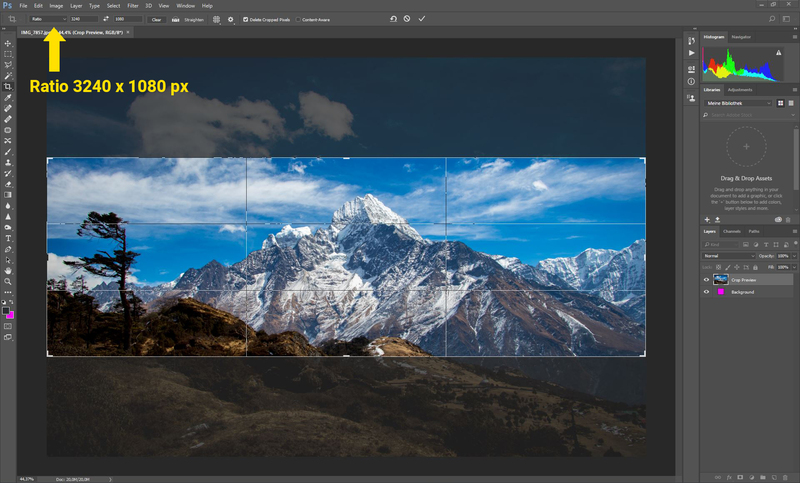 We use Photoshop CC, if you are used to the Adobe Series you don’t want to miss it. But you can use any other photo editing software. Open the image you want to upload on Instagram. We are shooting with a Canon 80d in raw format. 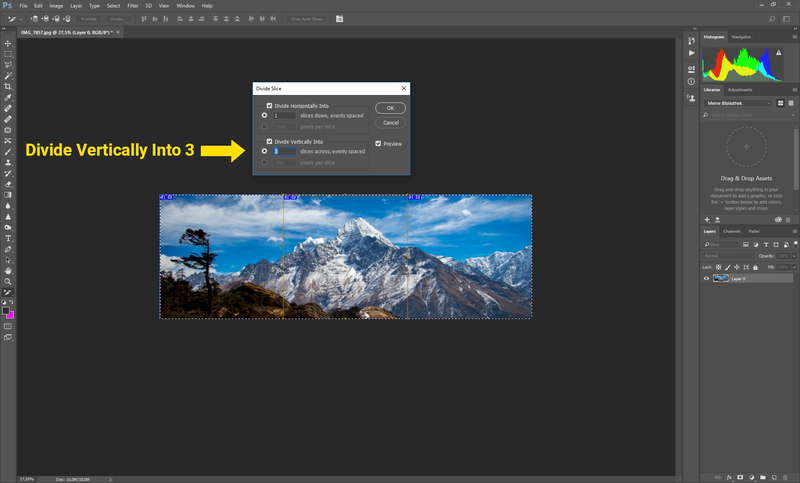 So before opening the image in Photoshop, the Raw Camera Settings will open up, and you can edit the picture. If you want to apply a filter in the Instagram App be careful to always use the same filter for all three images, otherwise the images will not match up. The standard Instagram image size is 1080 x 1080px. The main picture size will be 3240 x 1080px. It will be split into three images (1080 x 1080px). 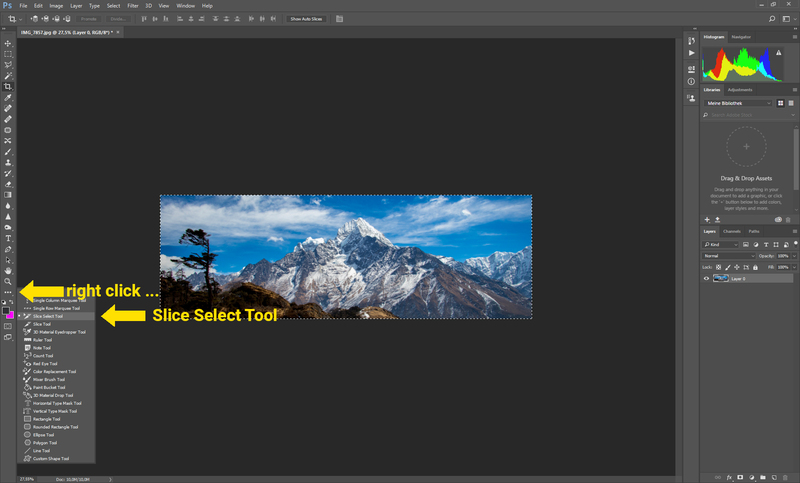 Select the crop tool out of the tools menu. In the top left corner you can select the crop ratio. Select 3240px x 1080px. You can write px after the number to make sure to have pixel as measurement. Open Slice Select Tool. If this isn’t visible in the tool bar, you have to right click on the 3 dots below the magnifier and select the tool. 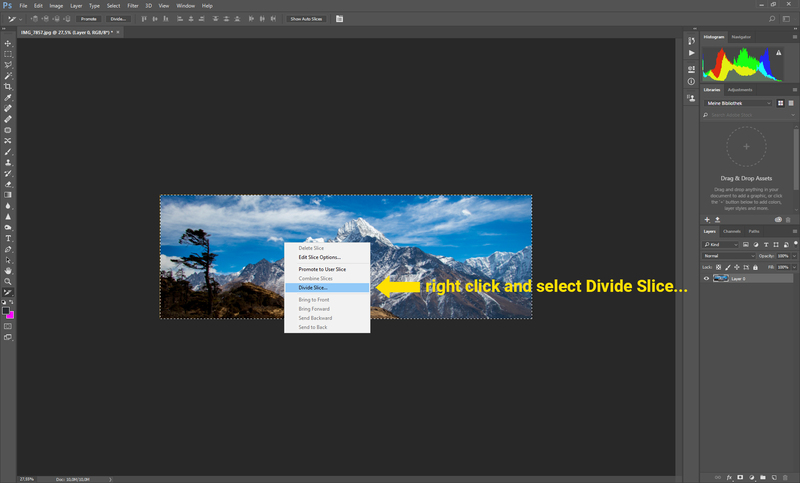 Now right click on the image and select Divide Slice. Now it is time to export the image. 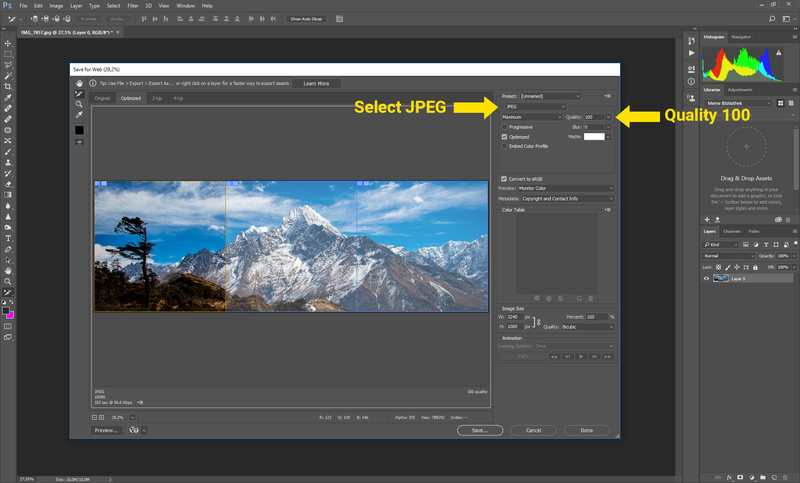 Select JPEG as output format and make sure you are exporting the image with the maximum quality. 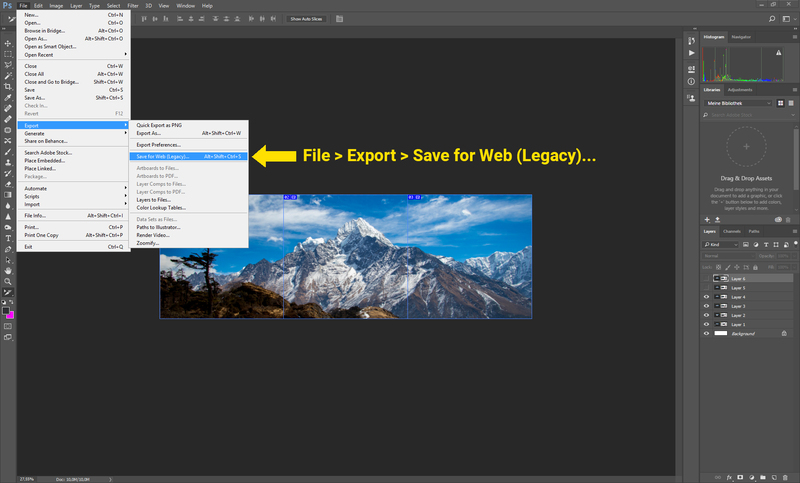 Press save and choose the output folder.